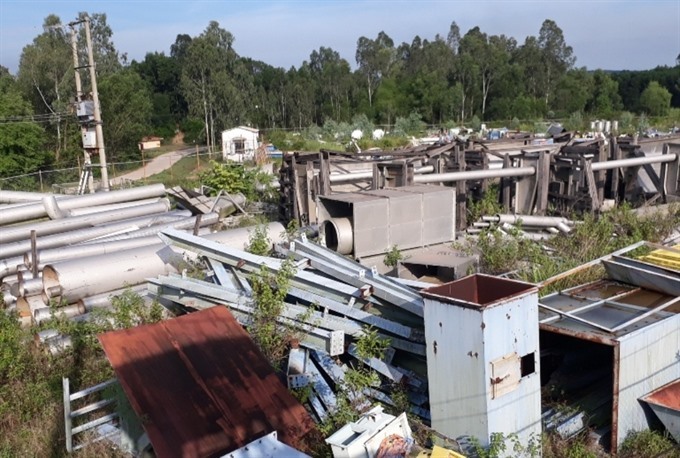 QUẢNG NGÃI — The central province of Quảng Ngãi has revoked the investment licence of the Tân Mai pulp and paper production plant due to delayed construction and operation and incomplete land-use certificate procedures as well as poor finance. The province said the project, which was planned to be built on 45ha in Bình Sơn District with total investment of VNĐ1.95 trillion (US$86.26 million) from 2011, had delayed operations of the pulp factory by 52 months and the paper factory by 40 months. It said the Tân Mai joint-stock company, the owner of the project, has yet to pay land clearance and compensation for local residents, while land-use certificates for the project had not yet been approved. The province said the company had not submitted any technical design or construction drawings, and only some office buildings and stores had been built on an area of 6,200sq.m. According to the inspection team from the province, the company had requested adjustments to their investment licence five times, with an increase of funds from $86.26 million to VNĐ5 trillion ($221 million). The company could only raise a VNĐ2.7 trillion ($119 million) loan from the Việt Nam Bank for Industry and Trade in 2011, but only 60 per cent of the loan had been disbursed between 2011-13. The bank then refused to continue the disbursement for the company from 2013. The province said the investor had not proved their financial capacity to start the project. The provincial Department of Planning and Investment reported that the project imported second-hand and poor equipment that could not meet the demands of production. The department has completed an inspection to revoke the project nearly seven years since it broke ground. The pulp and paper project was designed with a capacity of 130,000 tonnes of pulp and 200,000 tonnes of paper each year.